Dental implants offer a fixed and permanent solution to missing teeth, allowing you to eat, speak and laugh with complete confidence. Unlike dentures, which need to removed daily for cleaning, and bridges, which require adjacent teeth to be filed down, implants look, feel and function just like healthy, natural teeth. At Stricklands Dental Fitness Centre, we have many years’ experience carrying out dental implant procedures. With the expertise of a specialist oral surgeon and dentists with advanced training in implants available in-house, we can accept the most complex of implant cases – so even if you are missing all of your teeth, or you have experienced bone loss, you may still be able to consider dental implants in Surrey. 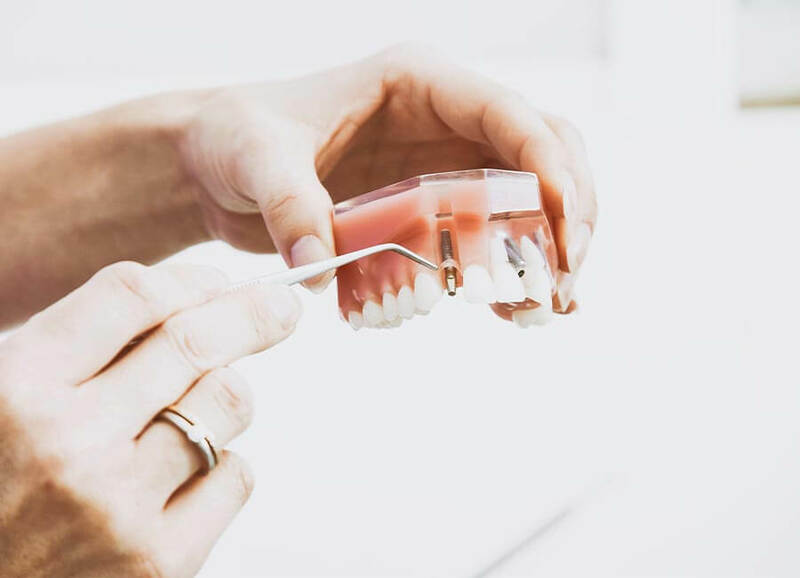 If you’re looking for an implant dentist in Surrey, you’ve come to the right place – we offer a full range of implant services in-house at Stricklands Dental Fitness Centre. Implants can be used in a variety of ways – to replace a single tooth; to replace a number of teeth (an implant-supported bridge); or to replace a full arch using only four-to-six implants. As few as two implants can be used to support a denture, too. Because we have a specialist oral surgeon in-house, we can also offer surgical treatments, such as bone grafting and sinus lifts, to create the right conditions for implant treatment. We only use Straumann implants, an ethical and trusted brand of global renown. Implants do more than simply fill the gaps in your smile; they restore your quality of life and preserve your long-term oral health. Because implants support your jaw bone, they stop remaining teeth from shifting their position, which can lead to oral health problems. They also prevent the natural deterioration of bone that occurs after tooth loss – which in turn prevents facial sagging, the ageing side-effect of missing teeth. And unlike traditional dentures and bridges, which can need replacing every few years, implants have the potential to last a lifetime with good oral hygiene. Darren sets high professional standards in the provision of his dental care. 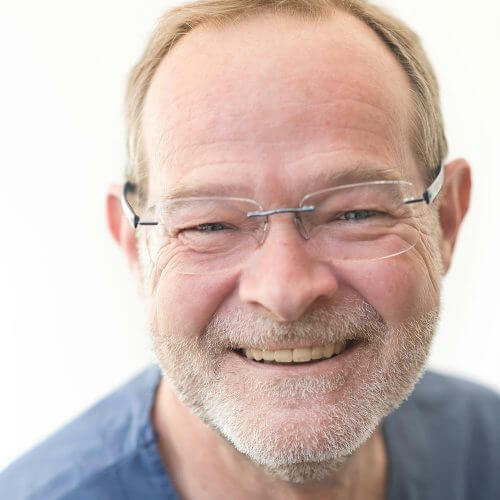 His broad range of experience and postgraduate qualifications allow him to carry out treatment ranging from routine family care up to complex restorative and surgical implant dentistry. Darren understands the importance of listening and communicating well with his patients. He has worked with his nurse, Andrea, as a team since 2006. Together they keep patients relaxed in a warm and friendly atmosphere. The award of three postgraduate qualifications show Darren’s commitment to providing the best standards of care. Several of his papers have been published in dental journals. He has a further interest in placing and restoring implants and holds the Diploma in Implant Dentistry from the Royal College of Surgeons. His skills have also been recognised with the award of Membership of the Faculty of Dental Surgery (MFDS) and the Faculty of General Dental Practitioners (MFGDP). Darren’s experience and training mean he is also ideally suited to carry out facial aesthetic work. He is able to perform a range of treatments using Botox and dermal filler materials. 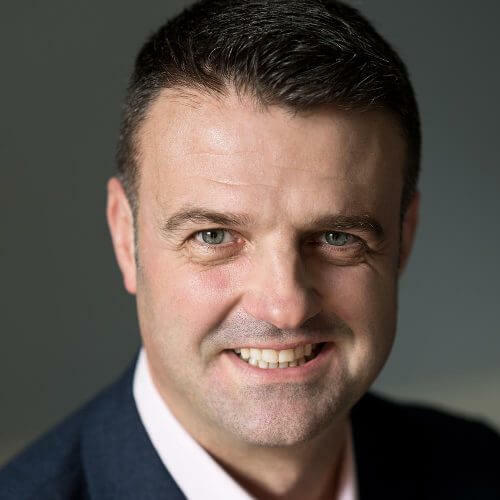 Darren joined the practice as a partner in 2006 following 10 years of service in the Royal Army Dental Corps. He served in a wide range of locations including Iraq, Kosovo and Germany. He is married to Tricia and has two daughters, Olivia and Yasmin. He couples family life with active interests in cycling and golf. If you would like to contact Darren directly to enquire about implants, restorative or cosmetic dentistry, then he is happy to receive and respond to your emails via darren@dentalfitnesscentre.co.uk. A dental implant is a high-tech plug that replaces your tooth root. It is surgically implanted into the jaw using state-of-the-art equipment and techniques, and is made from super-strong, biocompatible titanium – to which your jaw bone will eventually bond. Once this has happened, a prosthetic tooth can be screwed onto the implant. Implants can only be considered for healthy mouths – so some patients may find that the process of getting implants will first require other dental work, such as bone grafting, gum surgery or orthodontics. Make an appointment at Strickalnds Dental Fitness Centre for an initial consultation to assess your suitability for implants. Dental implant surgery is high-tech, minimally invasive and highly accurate – so it involves the least possible trauma and therefore a swift recovery time. Once the implant has been placed in the jaw, you will need to wait a few weeks for the integration process to take place – this is where your natural bone tissue grows around the implant, securing it in place for life. Once integration has successfully completed, you’ll be able to return to Stricklands Dental Fitness Centre for the final fitting of your new tooth. Because dental implants provide the same function, feel and look as natural teeth, you’ll never need to compromise when it comes to eating, drinking and smiling with complete confidence. In addition, dental implants play an important role in maintaining the structure of your face: their firm position within the jawbone prevents teeth from shifting around and the jaw from shrinking – both of which cause ageing facial sagging. In short: with dental implants, you’ll stay looking youthful for longer. Are implants possible for nervous patients? Yes – especially at Stricklands Dental Fitness Centre, where we pride ourselves on our wide range of options for nervous patients, including IV sedation. Implant surgery is so high-tech, it causes very little discomfort and patients usually recover very quickly. Yes, dental implants are a well-established treatment, supported by over 30 years of clinical evidence and a 95% success rate or higher. Implants actually improve the health of your jaw. It can vary between 3-6 months depending on the complexity of your case. How quickly can I go back to work after implants? Most patients can return to work within one or two days of surgery.